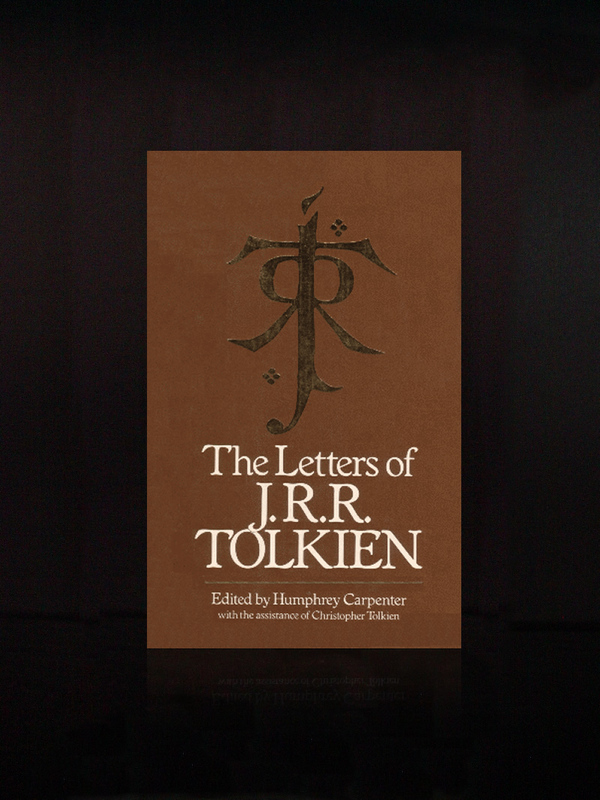 This book contains a selection of 354 letters, excerpts from letters, drafts and endnotes, edited by humphrey Carpenter with the assistance of Tolkien's sun Christopher Tolkien. Most of the letters handle about Tolkien discussing his work and books, another large part is a conversation between Tolkien and his future wife Edith Brath (in the period they were not married yet). These letters show Tolkien's genius and give insight in the man behind the books. Originally published by George Allen & Unwin in 1981 at £9.95, 7,500 - 10,000 copies were printed and by Houghton Mifflin in 1981 at £16.95, 100,000 copies were printed. The first paperback appeared in 1990 by Unwin at £6,99, 7,500 copies were printed. Scholars and fans of the great mythologist will find a rich vein of information in Humphrey Carpenter's The Letters of J.R.R. Tolkien. Tolkien was a prodigious letter writer all his life; the sheer mass of his correspondence would give pause to even the most stalwart archivist (one shudders to think what he would have done with e-mail). But with the able assistance of Tolkien's son Christopher and a healthy dose of determination, Carpenter manages find the cream of the crop--the letters that shed light on Tolkien's thoughts about his academic and literary work, as well as those that show his more private side, revealing a loving husband, a playful friend, and a doting father. The most fascinating letters are, of course, those in which he discusses Middle-Earth, and Carpenter offers plenty of those to choose from. Tolkien discussed the minutia of his legend--sometimes at great length--with friends, publishers, and even fans who wrote to him with questions. These letters offer significant insights into how he went about creating the peoples and languages of Middle-Earth. I have long ceased to invent (though even patronizing or sneering critics on the side praise my 'inventions'): I wait till I seem to know what really happened. Or till it writes itself. Thus, though I knew for years that Frodo would run into a tree-adventure somewhere far down the Great River, I had no recollection of inventing Ents. I came at last to the point, and wrote the 'Treebeard' chapter without any recollection of any previous thought: just as it is now. And then I saw that, of course, it had not happened to Frodo at all. The old fellow's letters to friends, family, and fans offer insight into his life and writings. Fun but not essential. Copyright 2001 Reed Business Information, Inc.
J.R.R. Tolkien was born on January 3, 1892. After serving in the First World War, he embarked upon a distinguished career as a professor of Anglo-Saxon at Oxford University. He is the renowned creator of Middle-earth and author of the great modern classic, The Hobbit, the prelude to his epic masterpiece, The Lord of the Rings. Other works by J.R.R. Tolkien include The Silmarillion. J.R.R. Tolkien died in 1973 at the age of 81. Humphrey Carpenter, the author of THE BRIDESHEAD GENERATION and THE INKLINGS, among other books, was given unrestricted access to all of Tolkien's papers for his biography of Tolkien, J.R.R. TOLKIEN: A BIOGRAPHY. '...If you wanted to go on from the end of The Hobbit I think the ring would be your inevitable choice as the link. If then you wanted a large tale, the Ring would at once acquire a capital letter; and the Dark Lord would immediately appear. As he did, unasked, on the hearth at Bag End as soon as I came to that point. So the essential Quest started at once. But I met a lot of things along the way that astonished me. Tom Bombadil I knew already; but I had never been to Bree. Strider sitting in the corner of the inn was a shock, and I had no more idea who he was than Frodo did. The Mines of Moria had been a mere name; and of Lothlorien no word had reached my mortal ears till I came there.' -- J.R.R. Tolkien to W.H. Auden, June 7, 1955J.R.R. Tolkien, cherished author of The Hobbit, The Lord of the Rings, and The Silmarillion, was one of the twentieth century's most prolific letter writers. Over the years he wrote a mass of letters -- to his publishers, his family, to friends, and to fans of his books -- which record the history and composition of his works and his reaction to subsequent events.By turns thoughtful, impish, scholarly, impassioned, playful, vigorous, and gentle, Tolkien poured his heart and mind into a great stream of correspondence to intimate friends and unknown admirers all over the world. From this collection one sees a mind of immense complexity and many layers -- artistic, religious, charmingly eccentric, sentimental, and ultimately brilliant.Now newly expanded with a detailed index, this collection provides an invaluable record that sheds much light on Tolkien's creative genius, his thoughts and feelings about his own work, and the evolution of his grand design for the creation of a whole new world -- Middle-earth. The old fellow's letters to friends, family, and fans offer insight into his life and writings. Fun but not essential. Copyright 2001 Cahners Business Information.